Next time you twist apart an Oreo cookie, take note of how white the creamy filling is. Then consider that the pigment used to achieve that bright white – titanium dioxide – is worth a whopping $17 billion per year. 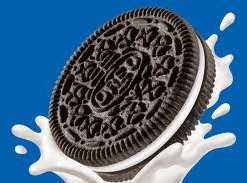 Titanium dioxide is found in more than just Oreos. It is used in paints, toothpaste, and other products, and chemicals giant DuPont has a proprietary formula for making the stuff more cheaply and efficiently than other companies. That means DuPont’s recipe for TiO2 is a ripe target for industrial espionage. The term “industrial espionage” evokes cloak and dagger images, and most people assume that the targets of such skullduggery are plans for the latest and greatest gadgets and gizmos off the drafting desks of defense contractors like Lockheed-Martin, or consumer companies like Apple. But, as the Washington Post reports, the theft of trade secrets often involves much more mundane information: formulas and processes that help reduce costs for materials found in everyday items. According to the WaPo article, state sponsored industrial espionage costs U.S. companies tens of billions of dollars every year. Adding to the costs, companies spend many millions to safeguard their trade secrets, but still the information manages to find its way outside organizational control and into the hands of others. How? Computer hackers are the culprits many think of first, but the spadework of industrial espionage is typically carried out the old-fashioned way – by people who use privileged access to pilfer the goods they intend to sell to a competitor or turn over to a governmental agency. Industrial giants aren’t the only organizations that are targeted. Smaller companies are also vulnerable, as are individuals and consultants who are innovating and creating new products and ideas. And these are less likely to have the resources to invest in protective technologies or absorb the losses that may result from the loss of proprietary information. No method of prevention is foolproof, but preventative measures can serve as a deterrent to data theft. Any measure that serves to impede the loss of data may prompt potential thieves to think twice, and it may reduce the likelihood that sloppy management results in an accidental loss.